The BJGA National Championships concluded recently at Belmont Hills, with Mikus Ming successfully defending his title, Spencer Young sweeping the Red Tee Championships, and Owen Dibbley leading the Novice Division from start to finish. A spokesperson said, “Mikus Ming successfully defended his BJGA National Championship crown with a 3&2 victory over medalist Dakota Lamb. Mikus took an early, commanding lead and led 6 up heading into the second 18 holes this afternoon. “Dakota maintained his confidence that he wasn’t out yet and went about slowly reeling Mikus in, picking up 2 holes in the first nine holes and another 2 in the next 5 holes to stand on the 33rd tee only 2 down. A wayward tee shot from Dakota opened the door to Mikus to regain control and he gratefully accepted, winning the hole and halving the next to complete his 3&2 victory. “Spencer Young finished the week as he started – on top – with the Medalist beating number two seed Ryan Clements 7&5 in the final. After halving the first hole in bogeys, Spencer put together a string of pars to win three holes on the bounce and then Ryan’s driver got away from him a bit gifting Spencer another three, putting Spencer in a commanding 6up position after seven holes. 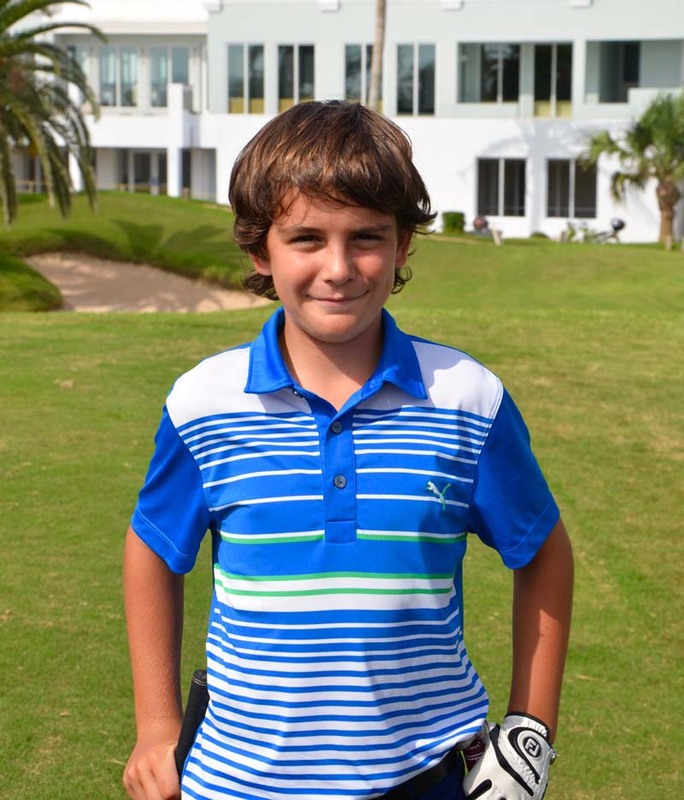 “Owen Dibbley led the Novice Division from start to finish, taking the Novice Division title by 10 shots over his nearest rival. From the first tee shot on day one, Owen seemed to be channelling an early 90′s Jon Daly – gripping it, ripping it and doing it over and over again. “The battle for second place was tight all day with Oliver Betshart jumping from 4th to 2nd by firing an impressive round of 46, his lowest of the week, pipping Noelle Weight by a single shot. This week saw a great performance from Noelle who was participating in her first BJGA tournament and we hope to see her frequently next season. 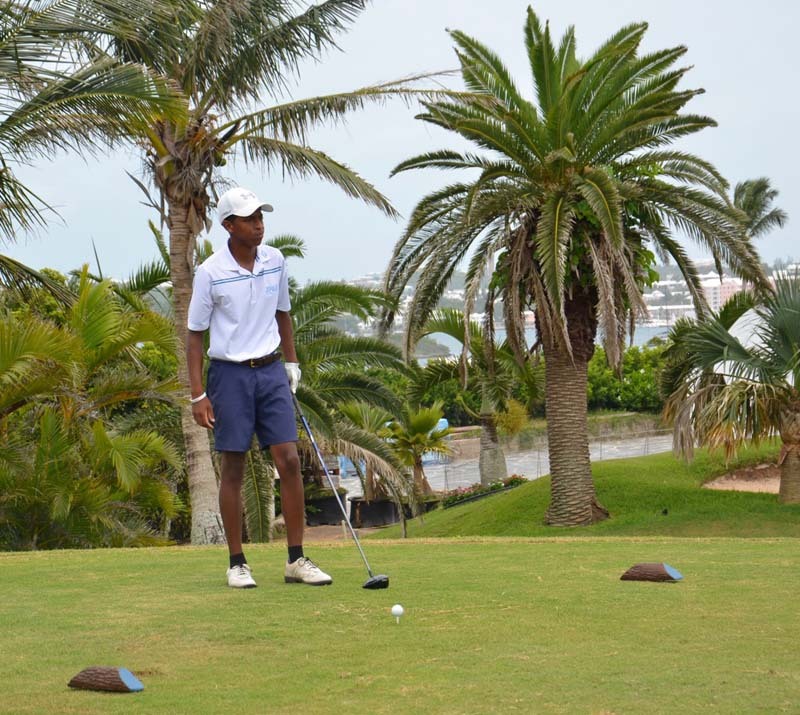 “In the Championship Consolation stableford, Samson Douglas got some affirmation that his practice time is paying off, winning the stableford tournament by 10 points over Luke Watson. “In the Red Tee Division Consolation Match Play Final, Joe Watson broke all the Hammond hearts, defeating Louis Hammond 5&3 a day after defeating Louis’ brother Rudi in the consolation semi-final. 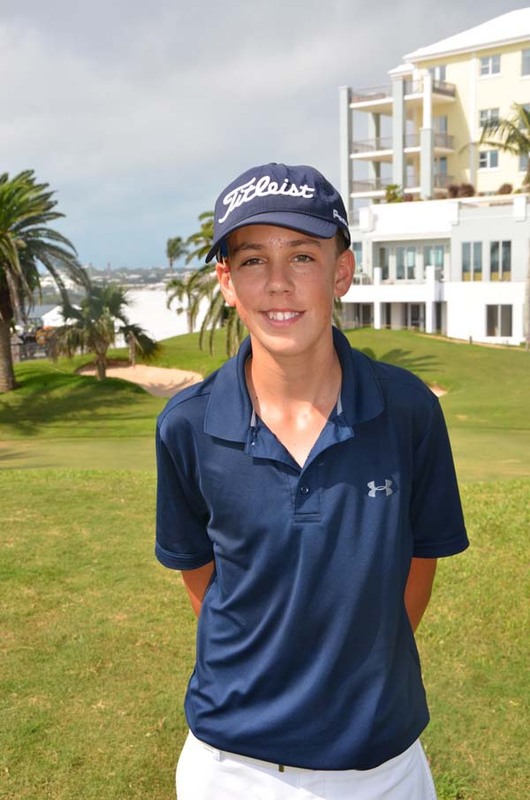 “In the Red Tee stableford event, an eagle at the par 5 6th hole propelled Ethan Sousa to victory by 4 points over Kian Mooney. “The BJGA had a wonderful week of golf at Newstead Belmont Hills and would like to thank all the golf-side team at Belmont Hills for all their work and assistance to put together this event. Further thanks goes to Gary Venning from the Bermuda Golf Association for filling the role of tournament official on the grounds this week.